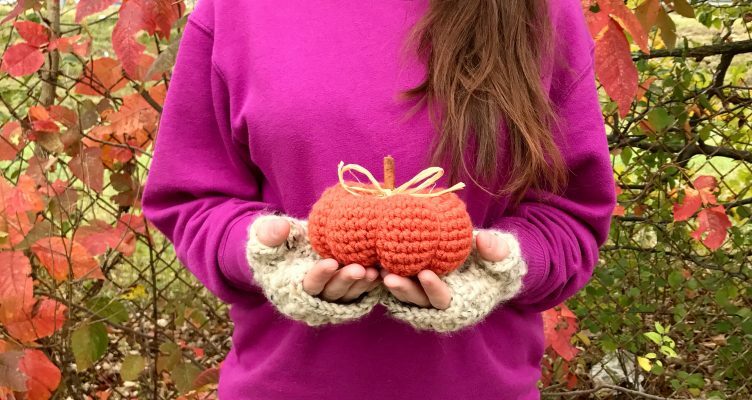 It’s finally the time of year for all things pumpkin! 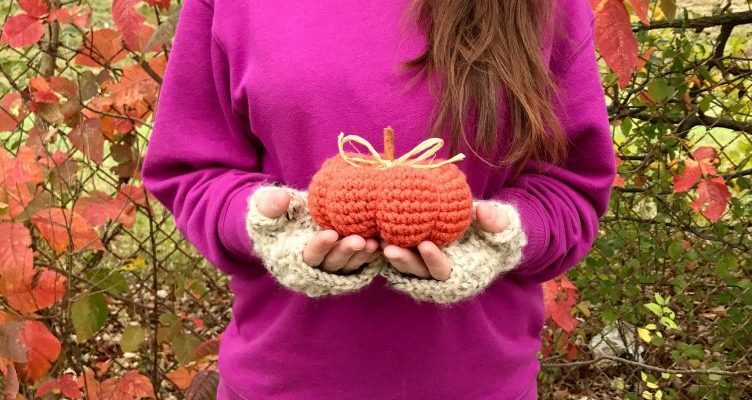 Whether you like carving them, eating them, or making them theres always something fun to do with a pumpkin. 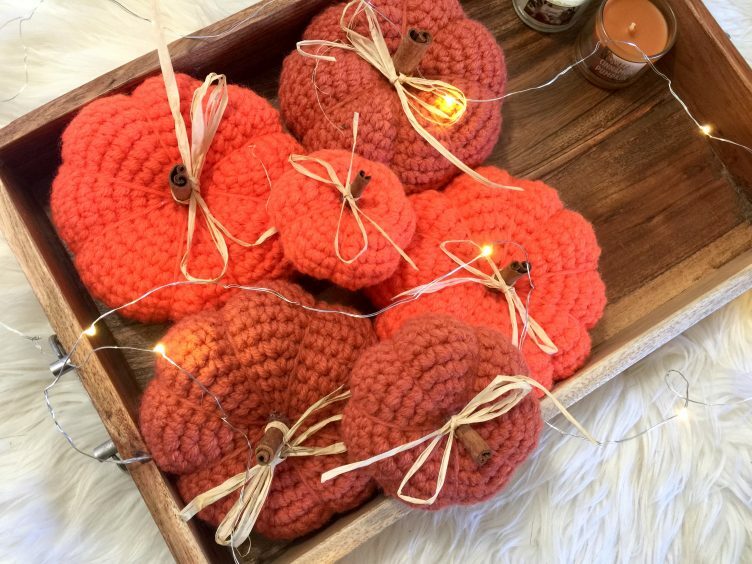 These adorable scented pumpkins are the perfect gift to give to the host of your upcoming Thanksgiving party or to use as a center piece for your Thanksgiving dinner. 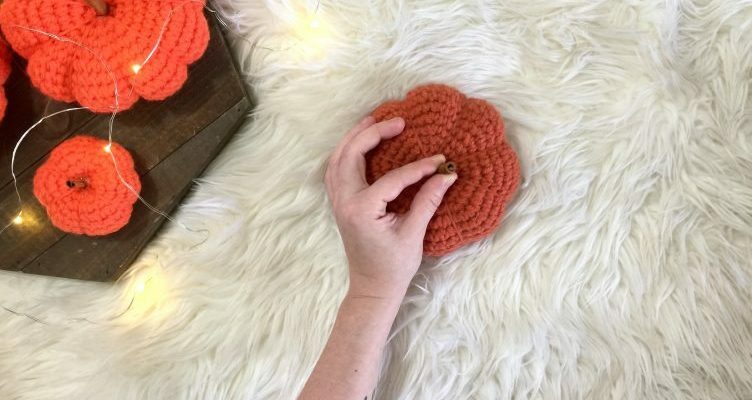 Either way, these adorable crochet pumpkins are ready to fill your home with the warm cinnamon smell that reminds us of the holidays! Starting with a MR, place 8 sc into the center. DO NOT JOIN. 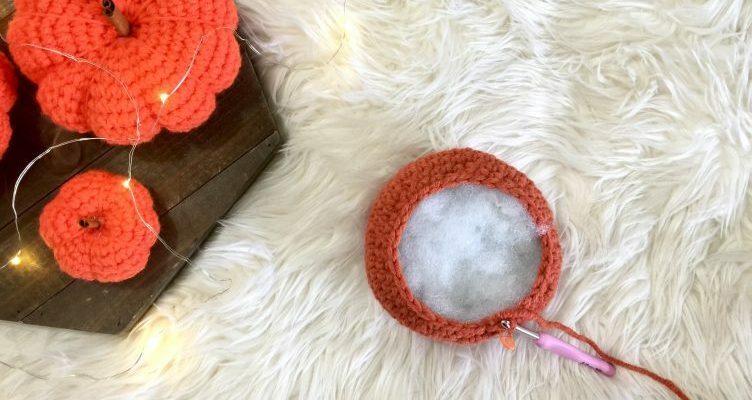 Place a stitch marker on your first stitch. Place 2 sc in first stitch and each stitch around. 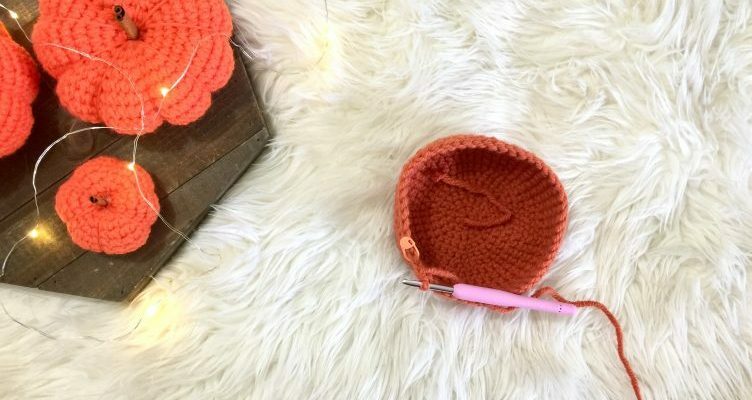 Round 3: *Place 1 sc , 2 sc in next stitch* Repeat around until you get back to your stitch marker. Round 4: *Place 1 sc in next 2 stitches, 2 sc in next stitch* Repeat around until you get back to your stitch marker. 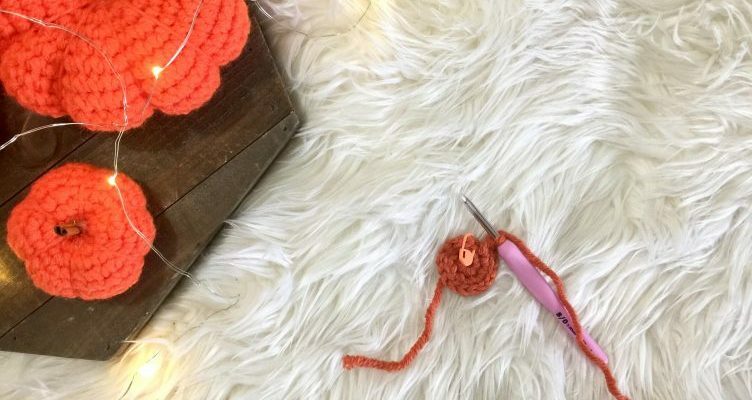 Round 5: *Place 1 sc in next 3 stitches, 2 sc in next stitch* Repeat around until you get back to your stitch marker. Round 6: *Place 1 sc in next 4 stitches, 2 sc in next stitch* Repeat around until you get back to your stitch marker. Round 16: *Sc in next 4 stitches, sc2tog* Repeat around. Round 17: *Sc in next 3 stitches, sc2tog* Repeat around. Add stuffing. Adding stuffing now will make it easier to stuff the rest at the end. Round 18: *Sc in next 2 stitches, sc2tog* Repeat around. Round 19: *Sc in next 1 stitches, sc2tog* Repeat around. 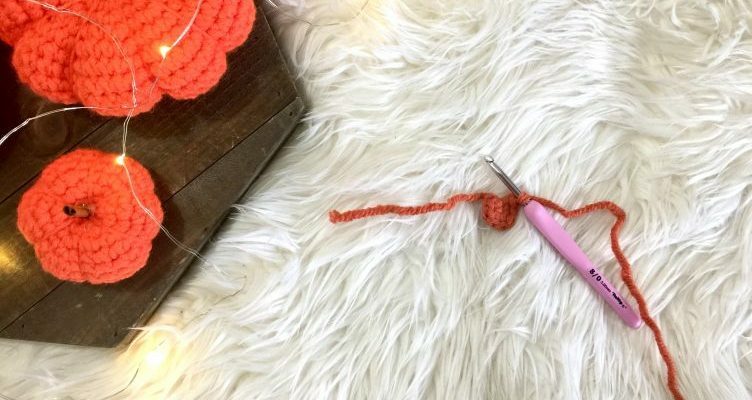 Using your tapestry needle and long tail, weave your yarn through the remaining stitches to create a drawstring. 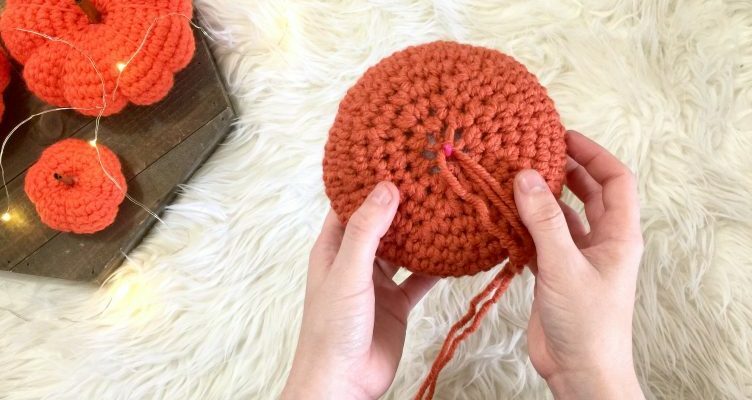 Pull on tail to tighten your stitches and close the hole. 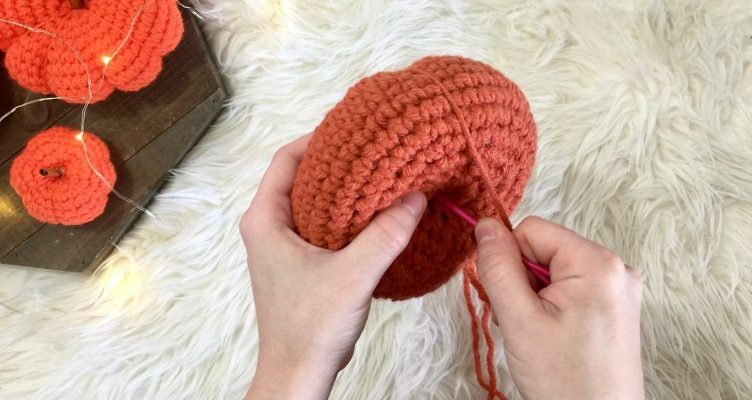 Make sure to secure the yarn by making a knot. 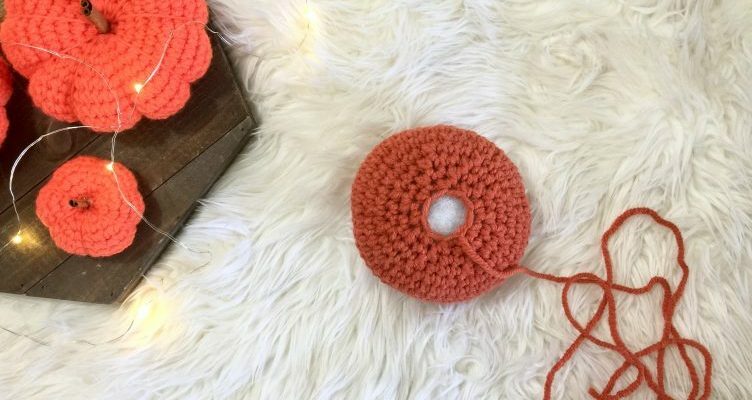 DO NOT CUT YARN. 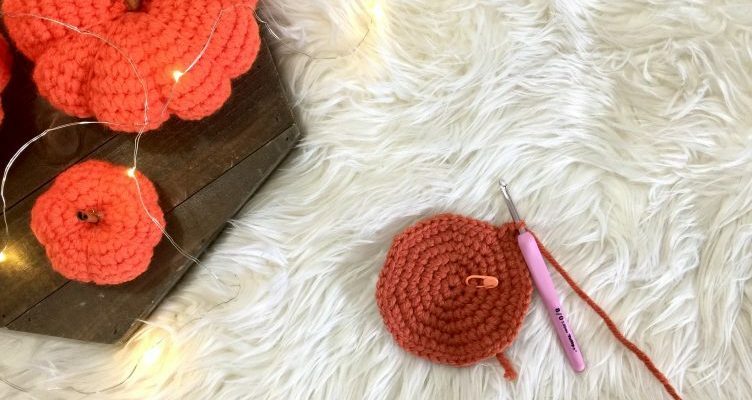 You will now use your tapestry needle and long tail create the pumpkin segments. 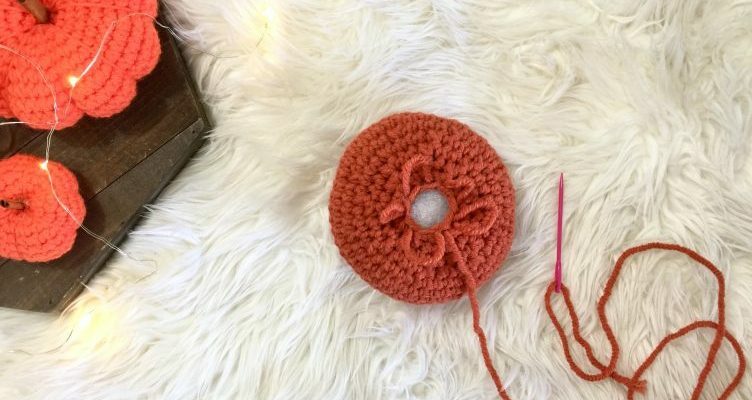 Push your tapestry needle through the center of your pumpkin. 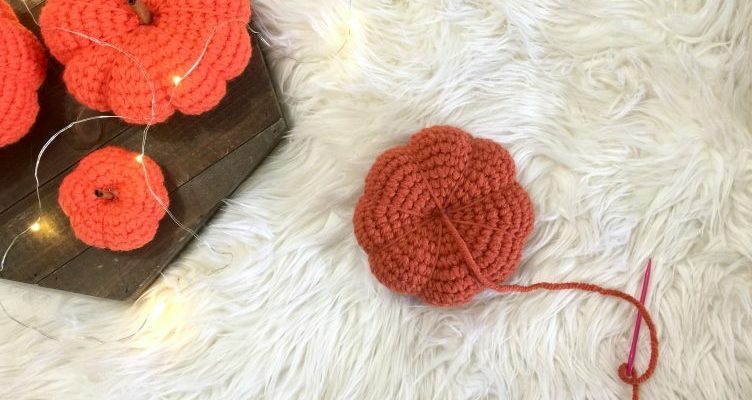 You will be bringing the tail of your yarn from one side to the other side. 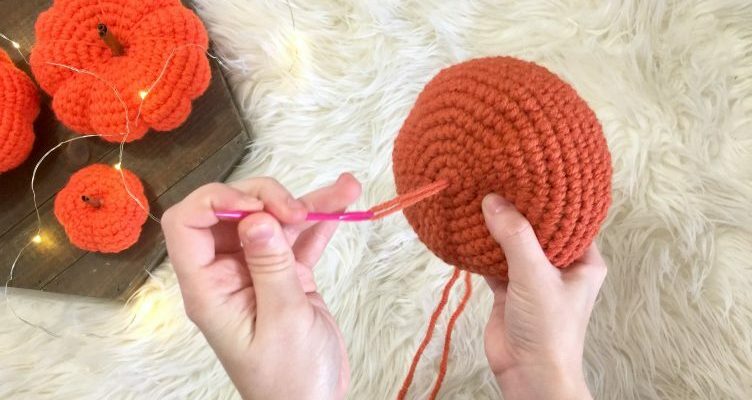 Now wrap your tail around your pumpkin and stick pull your yarn back through the pumpkin. You will insert your needle into the opposite side of your pumpkin. 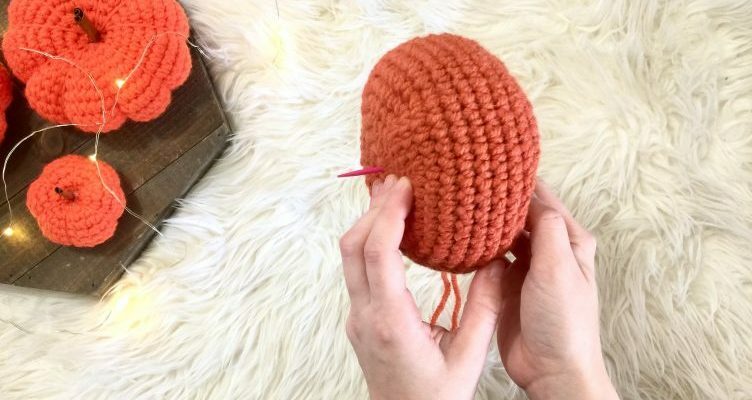 Pull your yarn tight so it creates an indent into your pumpkin. Create as many sections as you want. Remember all pumpkins are different so don’t worry if they’re not perfect. Have fun and be creative. 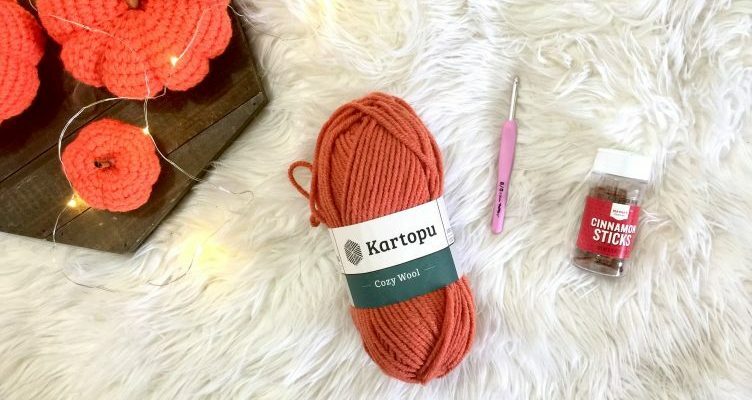 Tie off your yarn to secure and cut your extra string. Add a spot of hot glue to the middle of your pumpkin and place your cinnamon stick to the center. You may need to cut your cinnamon stick down if you think it is too long. Add a cute little raffia bow to your cinnamon stick to decorate. And there you have it! Happy fall y’all!